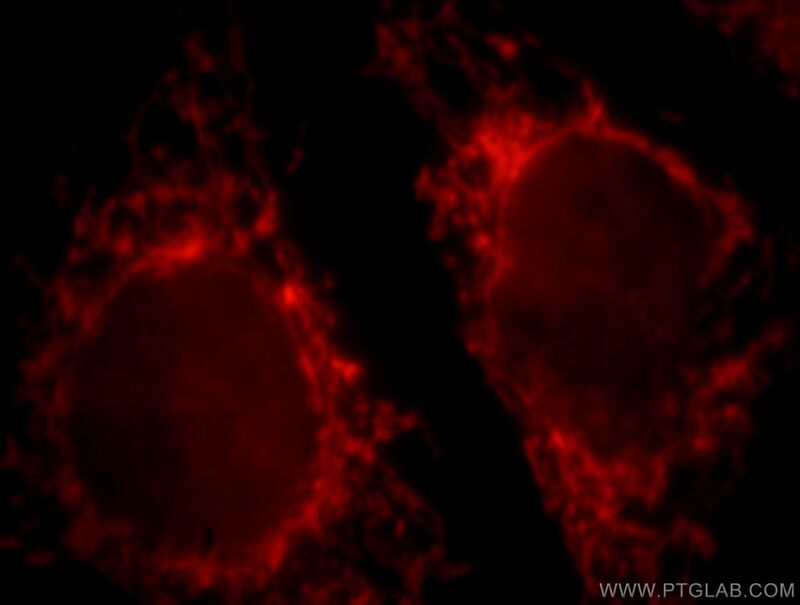 Immunofluorescent analysis of HepG2 cells, using CPS1 antibody 18703-1-AP at 1:25 dilution and Rhodamine-labeled goat anti-rabbit IgG (red). CPS1 is an enzyme that catalyzes the first committed step of the hepatic urea cycle, which is important in the removal of excess urea from cells. 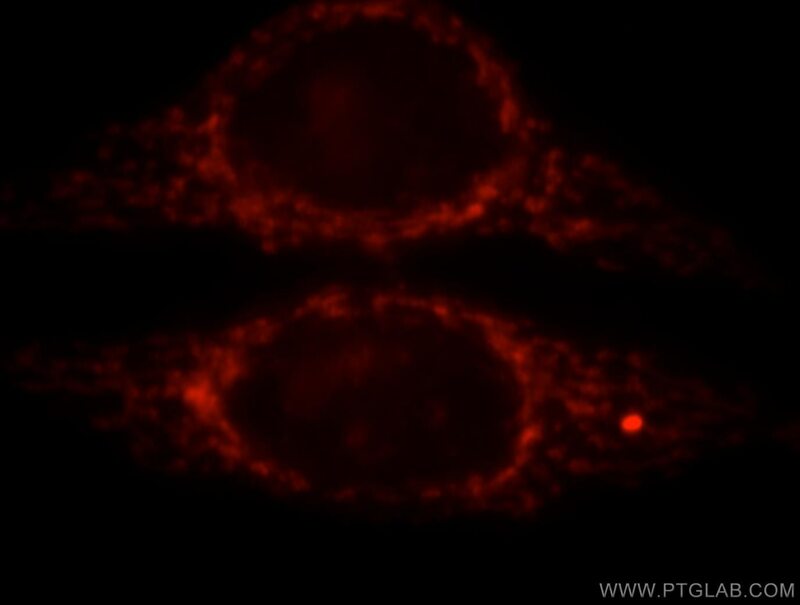 Expressed primarily in the liver and small intestine, CPS1 can be used as a marker for mitochondria in these tissues. In addition, CPS1 expression appears to be lost in adenocarcinomas of the small intestine. The antibody can recognize two isoforms of this gene around 165 kDa and 116 kDa. Proteomics analysis of human nonalcoholic fatty liver. Inhibition of De Novo NAD(+) Synthesis by Oncogenic URI Causes Liver Tumorigenesis through DNA Damage. Studies on the biological functions of CPS1 in AFB1 induced hepatocarcinogenesis.